The RosalindTM genomics analysis platform named in honor of pioneering researcher Rosalind Franklin, who made a major contribution to the discovery of the double-helix structure of DNA with her famous photograph 51 aims to sim­plify the practice of genomic data interpretation. Rosalind overcomes a number of the limitations found in existing data analysis tools. Complex tools require highly-trained bioinformaticians that are constantly overextended and in high demand. These skilled bioinformaticians spend valuable time on manual pro­cesses that could be automated. Service providers and kit companies lack scal­able analysis solutions to offer customers using their products. Pharma experts artic­ulate their need for robust, highly scalable data management solutions which enable them to securely and efficiently store, track, and share data. 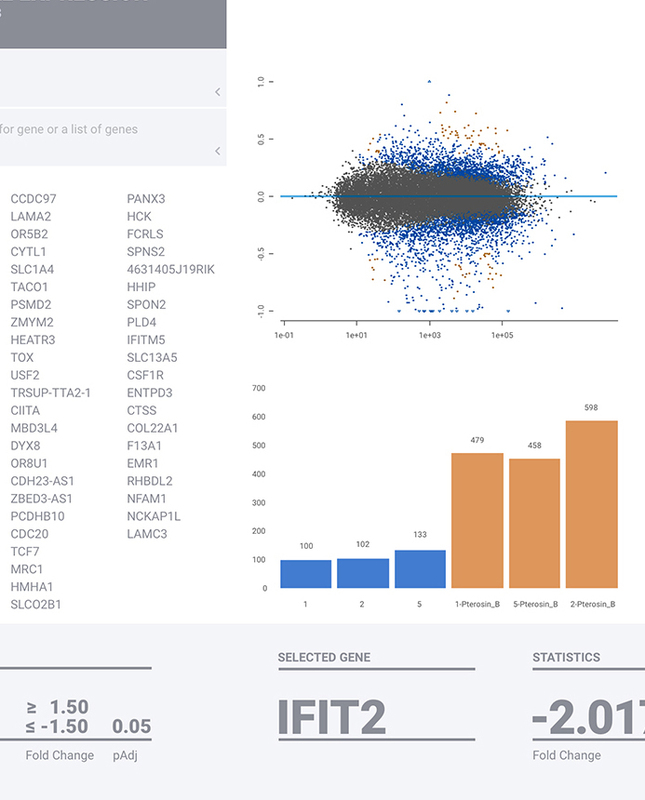 The platform guides researchers through the entire process, from experimental design to interpretation, for analyses including transcriptomics and epigenetics.